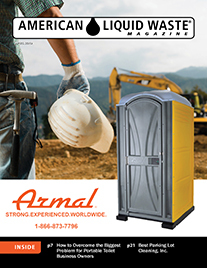 For this month’s spotlight editorial, we spoke with an innovative inventor who holds numerous patents on pioneering technology, one that is on the cutting-edge of the next generation of wastewater treatment systems; machinery and state-of-the art equipment that is designed and based on the principles of passive wastewater treatment systems. 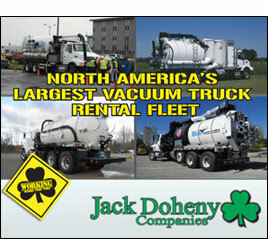 His line of enviro-septic® technologies is sold across the united states, as well as worldwide. His name is david presby, and the name of his eco-friendly company, and one that is also committed to sustainability initiatives, is Presby Environmental. Q. Can you please tell me in your own words a little about the history of Presby Environmental —how it came about, how it developed and expanded, etc. I founded Presby Environmental in 1995 out of my garage in Sugar Hill, NH. I was a contractor and designer/installer for many years before developing my first product, Enviro-Septic®. While in the field I saw many septic systems fail. I began to understand what bacteria needed to effectively and efficiently digest the effluent and not clog the native soils in the process. The product was born in the field with a distinct purpose to create and maintain a self-sustaining environment for anaerobic and aerobic bacteria to thrive. Enviro-Septic® is a 10 ft. long 12 in. diameter HDPE pipe with ridges and skimmer tabs to aid in stripping solids while cooling the effluent. The pipe is wrapped with a mat of green plastic fibers to promote surface area for bacteria to attach itself for further striping away solids and digesting the waste. A black Geo-textile wraps the pipes. 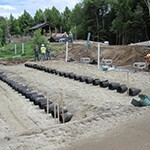 The 10 ft. long pipes are installed in a bed of c-33 sand with a 3 in. layer on top, 6 in. on the bottom, and 6 in. in between the rows. The system is then vented with differential air vents to promote gas exchange. The system releases highly purified wastewater into the native soil. 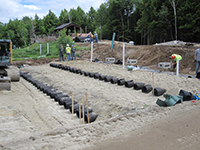 With the success of Enviro-Septic® came the development of Advanced Enviro-Septic® (AES). AES has all of the same patented features of ES, with the addition of our patented Bio-Accelerator® Fabric. The Bio-Accelerator® is a white dense geo-textile that surrounds the bottom 1/3rd of the pipe to protect the green fibers and also functions as a bio-mat. AES became the first passive wastewater treatment system to achieve NSF certification. Presby’s technology has expanded rapidly in the past 20 years to 14 countries and 30 states with over 250,000 systems in the ground. Q. Can you tell me a little bit about your background? What did they you do before starting Presby Environmental? How does their background impact their business and their business decision-making strategies? I owned my family’s construction business called Presby Construction before I started Presby Environmental. I installed and designed septic systems before inventing Enviro-Septic®. I was always an inventor and had a keen eye for developing machines. My talents for developing machines provided my business a unique advantage, and it grew by developing the large, state-of-the art manufacturing facility that the company operates today. Q. What are the keys to your great success in coming to dominant in your field? 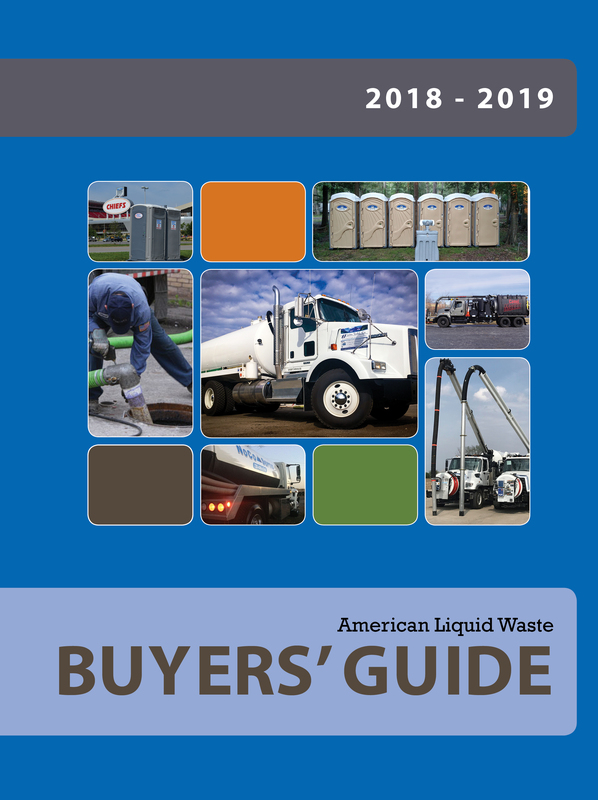 Could you please articulate 3-5 principles/guidelines/pointers that you have developed over the years to keep your company in the top class of the liquid waste industry? One of the most important keys to the success of Presby Environmental, is our commitment to the end user—the homeowner, business owner, as well as our surrounding community. We stand by our products and have a technical staff that helps designers, homeowners, and contractors with our products. We provide unmatched technical and customer support that is often cited by our customers as a reason that they trust our brand. Another key to our success has been education. We developed a self-imposed certification program to help installers and designers understand our products, and how to install them correctly. By educating installers and designers we lowered failure rates substantially. We have always invested most of our “marketing budget” in trainings and demonstrations all around the U.S. and abroad instead of just doing advertising. We do not accept the status-quo and truly believe the future of clean water is through passive treatment and we are educating the professionals in the field about our findings. Q. Do you have a company motto or credo? How would you describe the company’s professionalism and work ethic? How does your company philosophy inform its work ethic, employee relations, and customer and business relations/situations? Our Company motto is “we share solutions.” We want to help people install the best system for their needs. We have a passionate technical team of licensed installers and designers who show our commitment for providing not only an excellent product but also excellent customer service. If there are any problems we are there to support the product no matter how old the system is or how simple the question is. We want to be seen as a resource in the industry, not just as a product provider. We often recommend other technology or resources that are not part of our business or revenue model. Q. Experts talk of a company owner having a “vision” a stated purpose or set of goals and aspirations that can inspire employees and managers alike to know they belong to something and can strive for excellence by following that vision. What is the “vision” at Presby Environmental? The mission of Presby Environmental is to offer the best source solutions to a particular waste water problem, with a focus on passive low energy, and maintenance treatment technology. The vision is to focus on developing and introducing technology that overcomes current challenges through treatment systems. We inspire our employees by being on the forefront of practical water treatment technology. Q. Have you established a set of core values that can make an emotional connection to your target audience? How do you connect/communicate the company values and what they stand for to your target clients? We share solutions. We communicate our company values by providing the best customer service in the industry. We stand by our products and mission to provide solutions to wastewater. We value educating professionals, regulators, state health officers, and homeowners about passive treatment. We use our online courses to communicate that value. Having defined core values was central to building a strong company culture. The company culture embodies the values naturally. The core values are what guide thecompany: Do right by the end user and as long as we define the end user, we’ve found that other values organically trickle down throughout the organization. We are also very selective when hiring people: we place culture/values first and skills second. Q. Please give me a sense of the organizational structure of the company. What kind of managerial structure is in place? How do you boost efficiency in your jobs and your workers? How do you boost morale in your workers? What do you expect of them? Our headquarters is located in Whitefield, NH, which are only a few hours south of the Canadian border. We have about 23 full time employees consisting of administrative staff, technical team, production workers, managers, and executives. We also have an amazing network of distributors that we work closely with. We do not require distributors to buy territories which shift the focus on the distributor to make the territory profitable. I started Presby Environmental as a family business with a horizontal structure and it is still operating that way 20 years later. The family style structure allows for employees to feel more than a number; we want them to feel like team members whose contribution matters. Our employees work as a team with each other; not for each other. The structure of the business allows for employee perks, discretion, and treatment like family. The company has two distinct teams with varying responsibilities. The first team is responsible for market development which includes the following tasks—marketing, sales, government relations, and R&D. The second team is the manufacturing side—which includes any and all production related duties. Q. Tell me a little bit about the day-to-day operations. Give me the run down on what your workers do. Presby Environmental is the manufacturer of several patented passive wastewater treatment products. We sell to our distributors who then sell to their dealers. We are not directly involved with the installation and designing process unless a designer needs support from Presby.The marketing department is responsible for market development which includes the following tasks- marketing, sales, and government relations, which deals with regulation and rewriting of laws through the approval process. Our R&D department is responsible for all research and development of products. We also travel all across the US and to different parts of the world learning about different cultures, how they solve septic problems, what are their customary septic practices, and how we can help through our products. The knowledge we receive allows us to better help share solutions to sanitary problems. Q. Please give me a sense of how many Presby Environmental systems there are presently working. How many clients would you say you service on a regular basis? We just celebrated our 20 year anniversary. In that span of time we grew to having systems hundreds of customers in 14 countries, (Australia, France, Canada, Belgium, Morocco, Mexico, New Zealand, Spain, the US… etc) and 30 states. We have 250,000 systems in the ground treating a collective 100 million gallons of wastewater. Q. What kind of strategies and policies do you have when it comes to environmental issues? For example, what “green” processes/technologies/policies do you follow? To create the pipes we use post-consumer recycled off spec plastic. Plastic waste from our own facility gets crushed and reused in our pipes. We have a “Waste Reduction Team.” Our products protect the environment by treating effluent and releasing tertiary treated water back into the soils in a smaller footprint than conventional systems. Our values naturally guided us toward “green” processes without having a formal structure for conservation. We created a unique identity for ourselves by staying true to our values. We were branded environmentally friendly or “green” before it was trendy/fashionable. Q. Tell me more specifically about your patented products. We sell several patented products including Advanced Enviro-Septic®, Enviro-Septic®, Simple-Septic®, Presby Maze®, Denyte®, and Presby Spec-Check® and, in January 2016 we will be launching our new product EnviroFin™. We provide excellent customer support for all of our products, and help design plans for our products. Installations and designs of our products is done by Presby certified installers and designers. Presby’s treatment and dispersal system can be layered as a multi-level system, or configured in unique bending shapes, or it can also be installed at a slope. Q. What are some of the features that make your products unique? Our products niche includes small lots which, with a conventional system, would be unbuildable. However, with Presby, bad soils, sloping terrain, and environmentally sensitive areas are where our products shine. We have an edge in those areas where our competition does not. Our products are scalable – from residential, commercial, to community. Our business model is based on volume sales vs. high dollar sales. Our external team is made up of highly motivated distributors and, as a whole we leverage the knowledge from all of our teams to provide solutions to our customers and to the industry. Q. What are the most challenging aspects of your business? What hurdles, obstacles, etc. do you face, and how do you overcome them? The most challenging aspects of our business are working with state regulations to change their rules to allow new technology in their state. State regulations are often created years ago with the information at the time and put in safety measures to compensate for technology’s shortcomings. Today, many companies like ours have products that do not need the safety measures for their products to work effectively, which in the end make our products uncompetitive in states where outdated measures are taken, and too costly for some homeowners. Updating the state’s rules to allow new technology, like our products, in their state is a hurdle for us. An old hurdle we had was breaking the widely accepted notion that there needs to be a complicated mechanical process to treat wastewater. In the past we were met with skepticism that our product can clean water with such purity with no added chemicals, electricity, or pumps, but rather with a passive process—letting bacteria digest the effluent in a sustainable environment provided by the Presby Pipes. After 20 years, we’ve become an established technology and overcame historical obstacles/ challenges associated with introducing new technology. Now, our biggest threats are competitors wanting to protect market share by keeping out innovative technology out of the market place. We overcame the past hurdles through our certification process, speaking at events across the country, and with our extensive trainings with installation demos.